This event is now fully booked. Add your name to the waiting list. Good chairing requires many judgement calls, particularly when and how to intervene. We’re delighted to have David Bryan join us to share his insights. David has a wealth of chairing experience to draw on, especially in the arts. David currently chairs Voluntary Arts whose mission is to support and promote creative participation for everyone in the UK and Ireland. David is also Chair of Artistic Director of the Future, chairs Battersea Arts Centre, and Oval House- south London’s theatre and was a member of the National Council of Arts Council England until 2017. He is the joint author of Achieving Good Governance: a challenge of our time, an independent review of governance in Arts Organisations and Museums (Clore Leadership Programme, 2017). David will reflect on the Chair’s responsibilities in good and turbulent times. He will also highlight the opportunities for Chairs to lead and steer an organisation. Transforming – fast or slow? 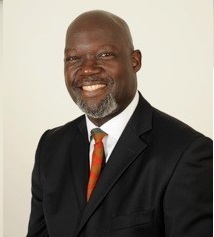 David Bryan’s day job is Director of Xtend UK Ltd, a management consultancy working in organisational change, leadership development and diversity, mostly in the not-for-profit and public sector including governance support and organisational development. There are a limited number of places and this event is for AoC members and invited guests only, you will need to be logged in to access the booking form. We aim to ensure a mix of members have the opportunity to attend these small events, for this reason we do not operate a first come first served approach to our dinners. Your place is confirmed only if you receive a second email confirming your place. We are very grateful to CCLA, one of the UK’s leading investment managers for charities, religious organisations and the public sector for generously hosting this dinner.